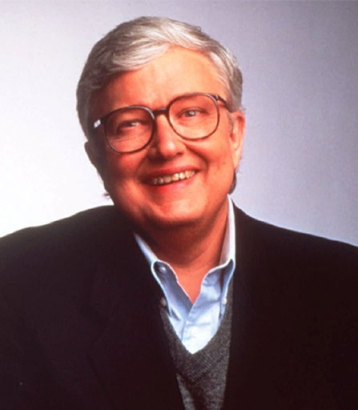 Roger Ebert taught me a lot about movies. When we sailed together on Dusty Cohl’s bi-annual Floating Film Festival, Roger would screen some already much-appreciated film — Citizen Kane, Raging Bull, Casablanca — and dissect it frame by frame. A master class, if you will. But Roger’s frame-by frame-process was different. He called it “democracy in the dark” and he urged his audience to share our observations during his narrative, even right in the middle of a scene if that was when the urge struck us. After all, it wasn’t as if we didn’t know how it was going to end. Sometimes it took two or three 90-minute sessions to get through a film. To be honest with you, I never intended to stay for any of them. I had already seen Citizen Kane more times than I could remember; I felt neither the desire nor the need to see it again. My plan was to be present for the first session, just to show my support, and then quietly slip away after the lights went down. I would give it, say, 20 minutes, just to make sure the screening was going all right. But then Roger would make some little comment, give some historical background to a scene we were watching, and I would somehow lose track of time. And 90 minutes later Roger would be saying that he thought this was probably a good place in the film to take a break. By which point I would decide that I would only stay for the first 10 minutes of the next session. Because, after all, how many times could you watch Citizen Kane and keep finding new things in it? But somehow Roger always did. So I always stayed. He was a great teacher. He taught by example. He didn’t preach; he practiced. I remember the year that Roger came to TIFF with his new laptop voice. He was seeing lots of movies, but also doing some interviews. I asked Michael Caine how it felt to be interviewed by Roger and his new voice. I reported Caine’s reaction back to Roger. “Michael said he felt completely at home with you,” I added. Roger scrawled something on his ever-present notepad and handed it to me. Of course he felt completely at home, he wrote. When I asked him questions I used the laptop voice with the British accent! In the last few years he was living in a special state of grace. We spent far more time worrying about him than he did. He was busy establishing a whole new curriculum, teaching us how to be human. It was an amazing course. It was a tough course. It was, as you might have predicted, the course less traveled. Had any of us expected, even for a moment, that it could be anything less? Roger left us a year ago today. He left us richer for his presence. He left us poorer for his absence. So why am I laughing? Because when I think of him, as I often do, what I remember most is how funny he was. My most vivid memories of Roger were at the Cannes Film Festival with Dusty Cohl and Billy Baxter. Dusty was the uncrowned King of the Hotel Carlton, and the most coveted Ask at Cannes was an Invitation to join him at his table on the Carlton Terrace. Billy was the boisterous Pretender to the Throne at the Hotel Majestic, and ruled the Majestic Bar with an iron American Express credit card. Roger had carte blanche at both tables on both terraces, but on most evenings, after we had filed our stories, Roger would hold court at Dusty’s table on the Carlton Terrace and regale us with a bottomless repertoire of jokes. He was an extraordinarily good joke-teller, as good as any seasoned standup comedian, and his rapid-fire hysterically funny homages to Henny Youngman and Lou Jacobi and other Catskill comics frequently sparked uncontrollable shrieks of laughter from our table on the Terrace. When Roger stopped drinking I suspected he’d never again be as funny as he was on those nights at the Carlton Terrace. Happily I was wrong. Maybe our nights in Cannes had been fueled by alcohol, but his richly refined sense of humour and his magical sense of timing were fueled solely by his unique talent and his irrefutable skill as a superb storyteller. They’re all gone now. Dusty, Roger, Billy. Gone, but not forgotten. All the links in this blog today are kinda special, but here’s the most special one. This is a link to Roger’s tribute to Billy. Read it and, well, laugh. Go ahead. Laugh out loud. We certainly did. And some of us still are. Here’s (still) looking at you, kid. the maiden voyage of your lordship’s yacht. critics of England and America to join you. your legendary show business career. tomorrow morning free for embarkation.